Computer slow-down is an inevitable phenomenon. As the time moves forward and your computer gets old, it’s sure to drop its speed. Although there are many reasons behind this, hard drive fragmentation is a major one contributing to the sluggishness of your Windows machine. In order to make your system perform at your desired pace, you should take help of Windows built-in tool to defrag your hard drives. 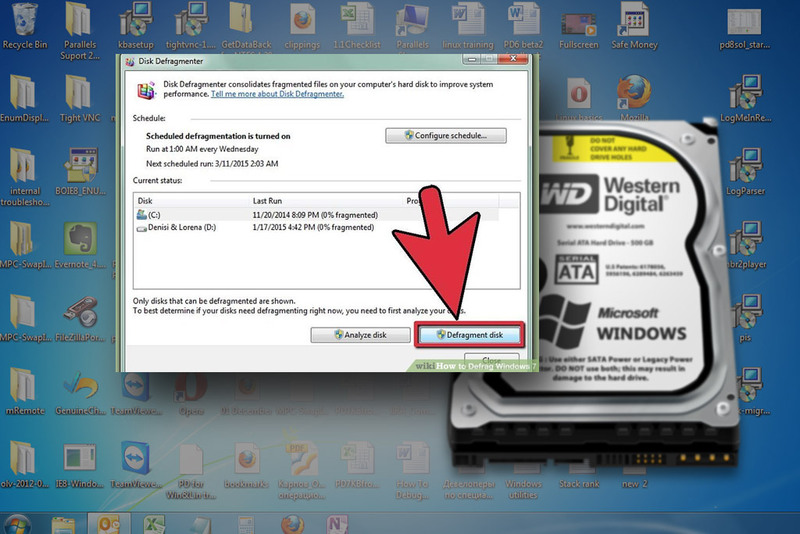 It’s important to note here that the modern versions of Windows automatically defragment your hard drives. However, it’s never bad to do the task manually whenever you feel your OS is taking hours to load. It’s advised to do this on monthly basis to improve PC performance and speed. Note: A Solid State Drive (SSD) should not be defragmented. Unlike hard drives, SSDs do not use a spinning platter to store your data. So, defragging them isn’t going to help you. On the contrary, this may adversely affect your Solid State Drive’s lifespan. All said, let’s check out how you can give your PC a speed boost by fixing the fragmented drives. Let’s get started! Note: There are no strict rules to tell at which percentage you should defrag your hard drive. Still, it’s suggested that a drive is ideal to defragment if it’s at least 10% fragmented. 5. Click “Defragment disk” to start the process. How Can You Do RBL Credit Card Payment Online? Why Thinning of Hair or Balding Is A Big Problem? Virtual Phone Number – Does A Business Really It? Does Studying Abroad Cost You A Fortune? Why Is Starting A Fashion Label A Good Idea? What are the Trending Colors in Bridal Lehengas? Why Is American Express Best Credit Card?